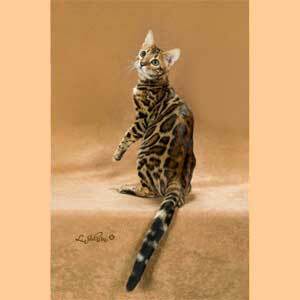 Abambu Cattery is a small boutique in the Colorado Rocky Mountains. 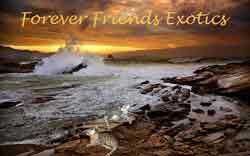 We strive to produce great temperaments with awesome type. 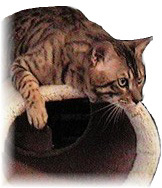 Our kittens are played with many times a day and part of their socialization includes educational programs. 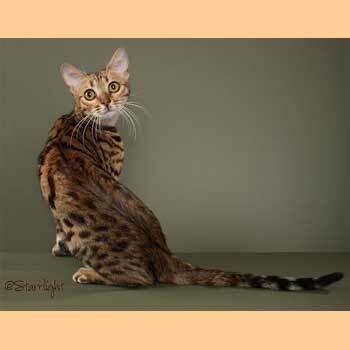 We are a small, home-based cattery ran by Penny, in collabortation with her mother, Carol. 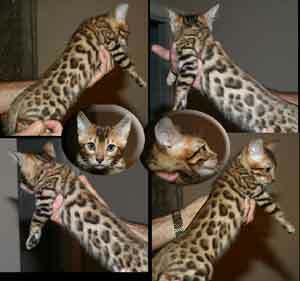 We currently offer SBT Bengal kittens, plus F3 and F4 Savannah kittens for sale to loving homes. 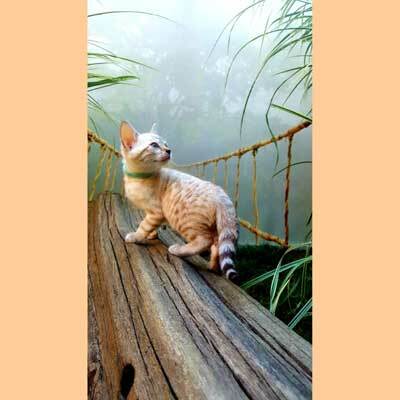 Our kittens receive individual attention daily, and live a healthy, active lifestyle. They will be TICA registered, microchipped, up-to-date on all age appropriate vaccinations, and health checked before leaving our care. 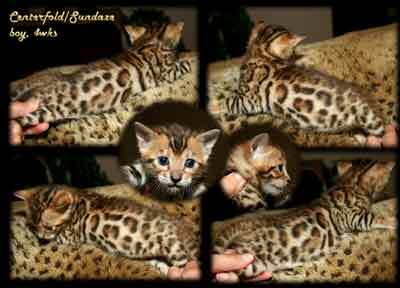 Beautiful Pedigreed Kittens from Our Home to Yours!! 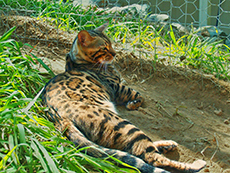 Bambusa Forest Cattery is a Bengal Cat Sanctuary and Breeder. 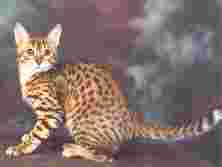 First and foremost, we have a love for cats, which means that our cats and kittens are highly socialized and loved on a daily basis. 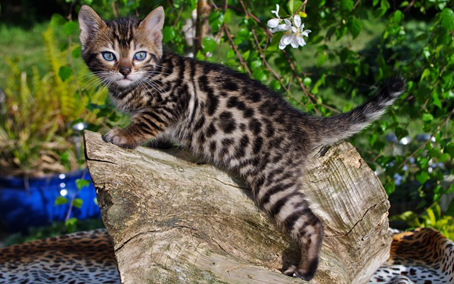 From the day they are born, Bambusa Forest cats are surrounded by children and other cats and dogs. 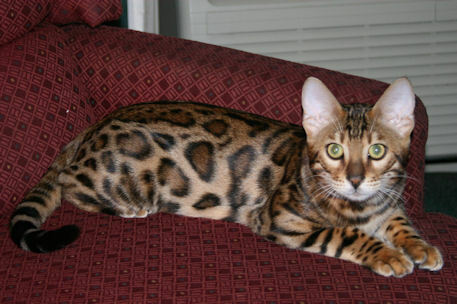 We strive for exotic looking cats, excellent health and extreme contrast. 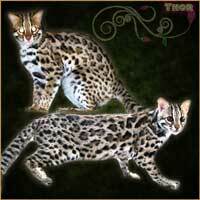 Our cats live in a relaxed and comfortable environment in Southern Louisiana. 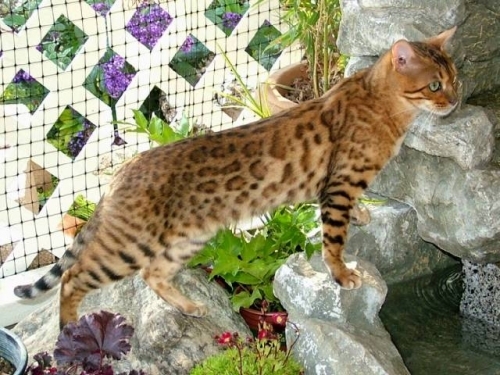 They have plenty of time outdoors in the fresh air, as well as indoors. 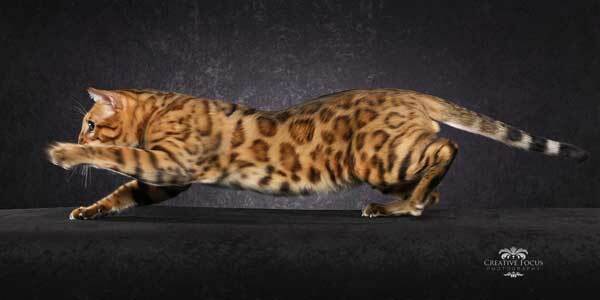 We focus on the most desirable physical and social characteristics of the Bengal cat in our breeding program. 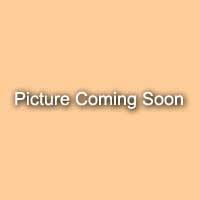 The gallery of pictures below illustrates this philosophy in action. 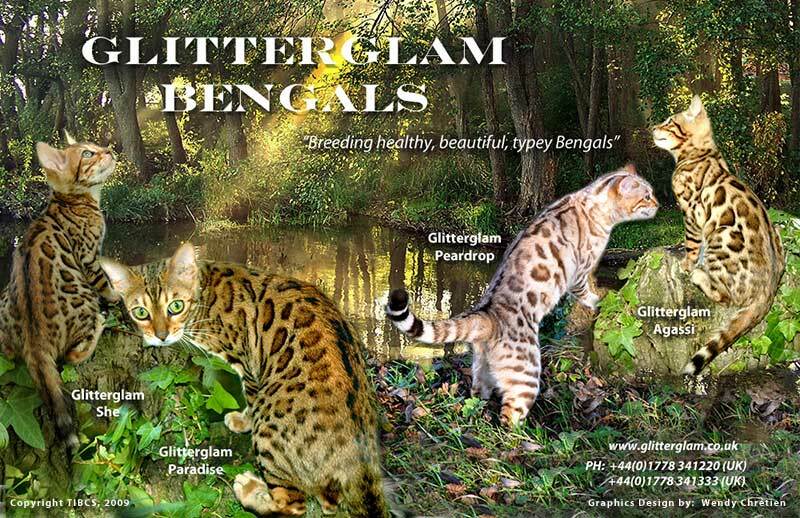 See our Bengal Buddies in their daily lives as glittery, social, playful household partners. 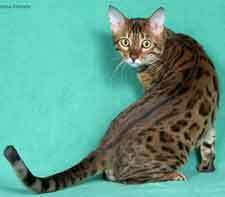 I breed to continue to improve the Bengal Cat, My cats are from Top Breeder Lines. 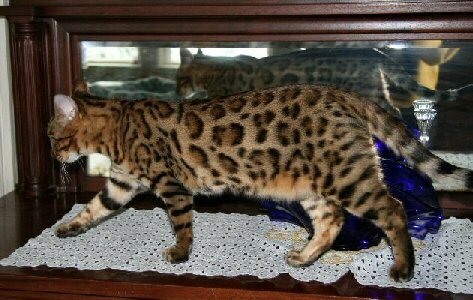 I am breeding for the non fading black spots with black outlined rosettes, smooth clear coats and high glitter and shine. I am producing small ears, big eyes, and strong Hearts ! HCM Tested Neg. 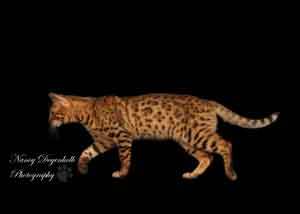 I Looking for the next outstanding cat to show, give me a call, I also have really nice pet kittens or breeder kittens available for you. We are Chris and Sharon Winchester and we live in Pearcedale near Mornington, Victoria. 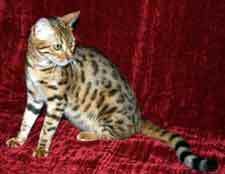 We raise a few sheep and we breed and show Bengal Cats under the BENGAL AUST prefix. 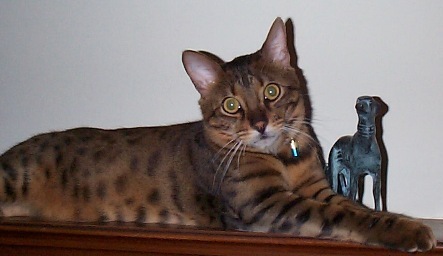 I (Chris) have a Military background having served in the British Army and with The Australian Special Forces. 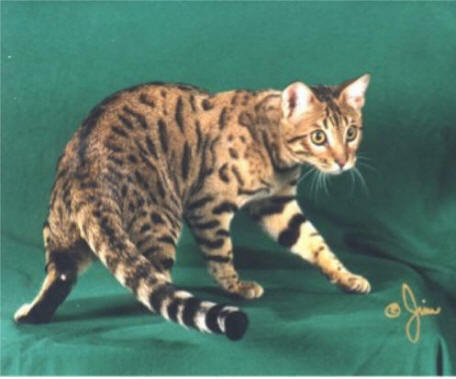 I also spent 12 years with Community Services when I decided to continue the tradition started by my parents Geoff & Betty Ward who established the Bengal Cat Club of Great Britain. 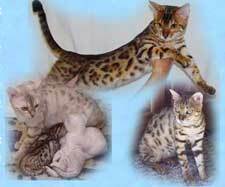 Two of our Bengals have been bred by Jean Mill who started the Bengal Breed. 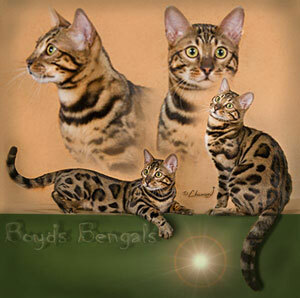 We established Bengals Australia as a registered business and we export our kittens all over the world. 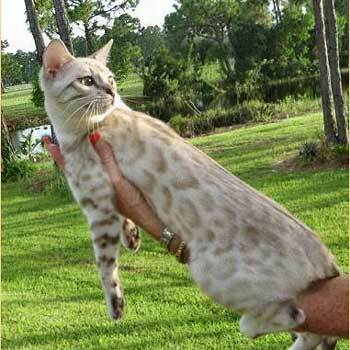 We have established breeding lines which are healthy and which produce many show-quality cats. 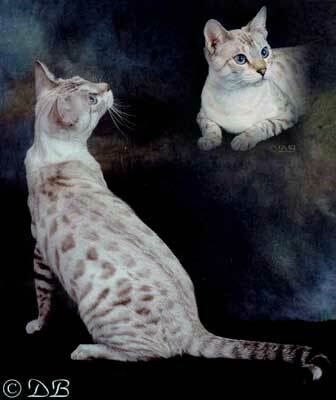 We are enjoying a successful show career with CCC of A titles and FCCVic titles being awarded to our cats. 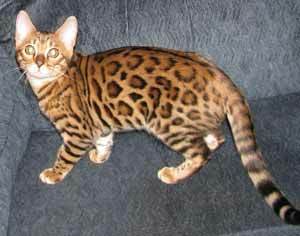 Small scale hobby breeder in Massachusetts . 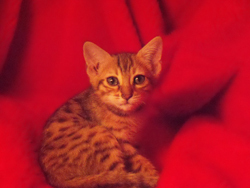 Please pop into our website at www.bengalsofamewsing.info to view our current kittens . 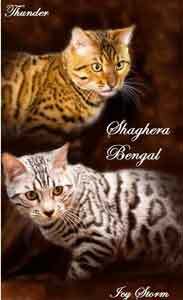 Years of knowledge and experience with the Bengal Breed. 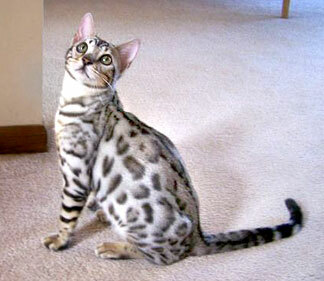 Our beautiful Bengal cats and kittens are very much part of the family and well socialized to home life . 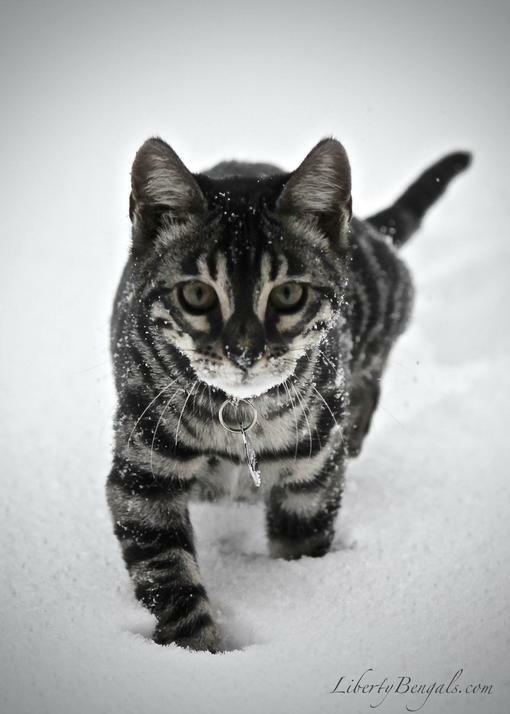 On occasion we show our cats in the New England area. 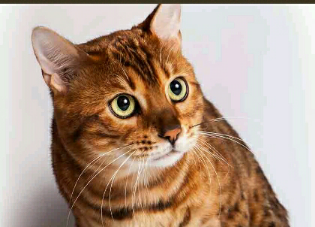 Proud member of the International Cat Association and adhere to their fine breeding ethics and Bengal standards . We look forward to hearing from you ! 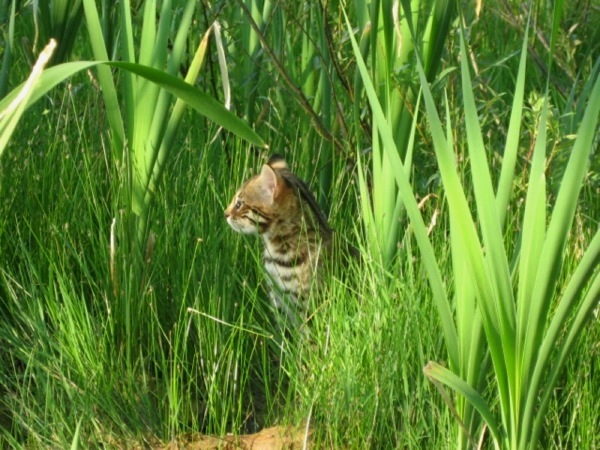 Bodcau Bayou Bengals is located in Northwest Louisiana. 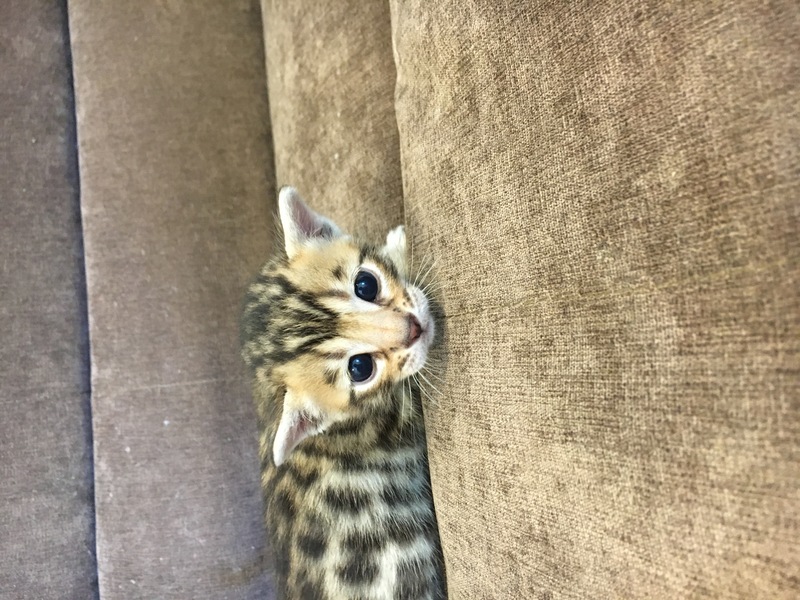 We specialize in very social Bengal kittens, raised by our unique family for your unique family. 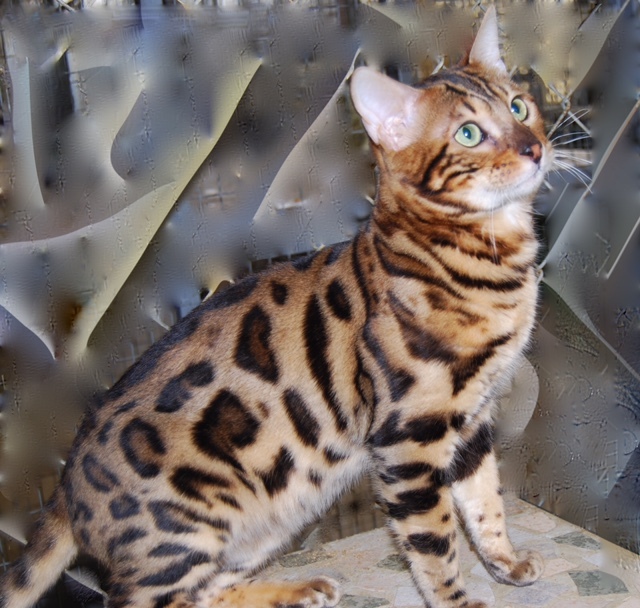 Kittens have outstanding rosettes on soft backgrounds which are only overshadowed by their exceptionally sweet personalities. 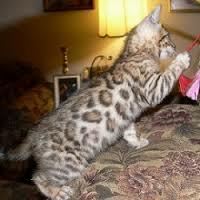 Kittens are litter trained; scratching post trained, introduced to the leash and loved very much. 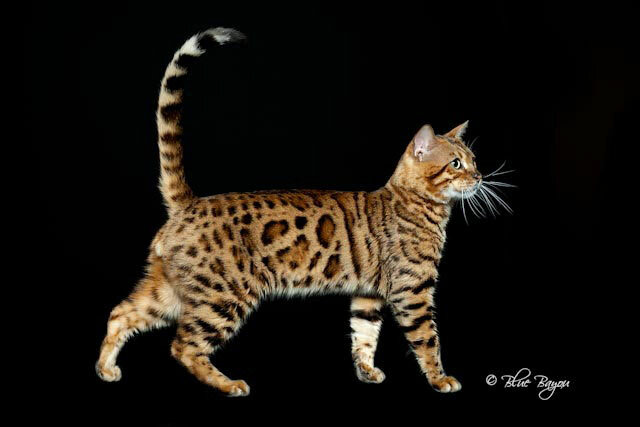 FeLv negative cattery, Champion bloodlines, excellent pedigrees, Registered with The International Cat Association., health guarantee and all age appropriate shots. 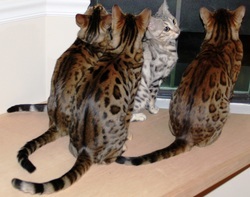 Raising gorgeous Bengals in our home to share with others. 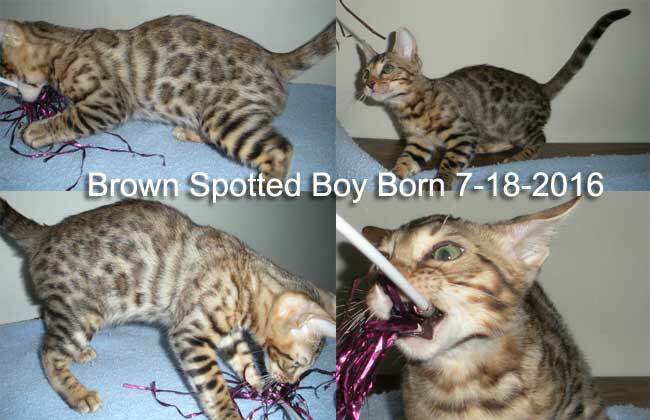 Brown spotted, charcoal, silver, marble. 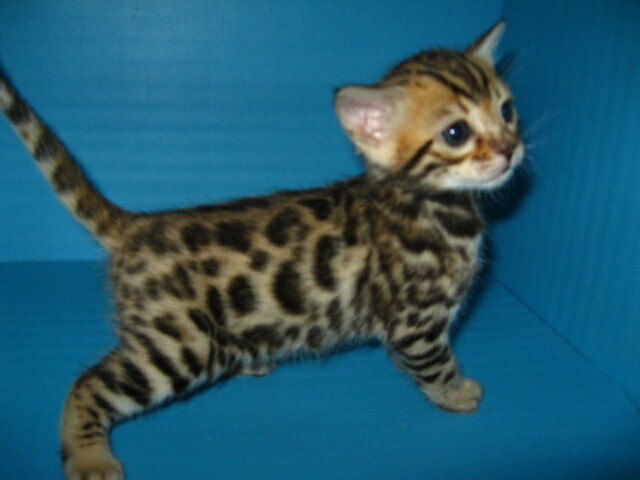 Kittens available year round. Reserve your next best friend now. Has one stolen your heart yet? 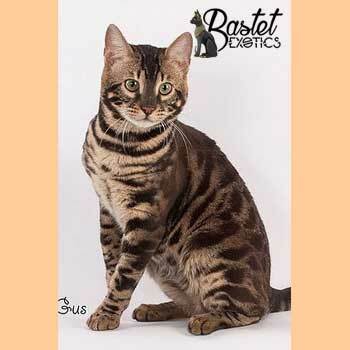 Fractal Bengals is a small in home cattery in the Washington D.C. area dedicated to the improvement of the Bengal breed. 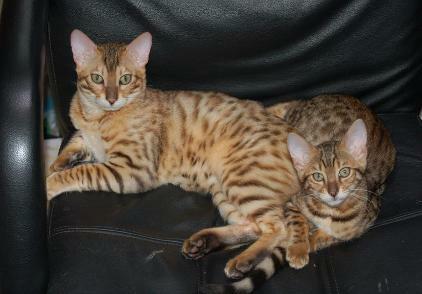 We are a very small in home breeder of Bengals. 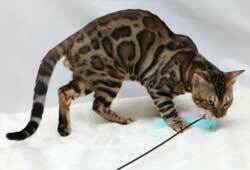 Our first priorities when breeding are the health and temperament of our cats. 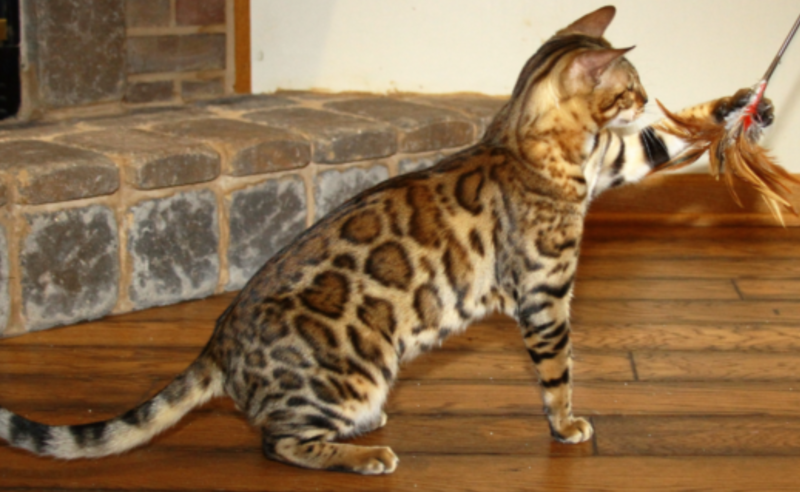 Our focus is on producing healthy and beautifully rosetted bengals that meet the breed standard. 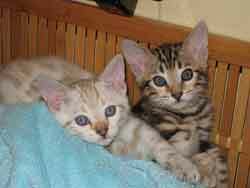 Our kittens are raised in our home and are very well socialized before leaving us. 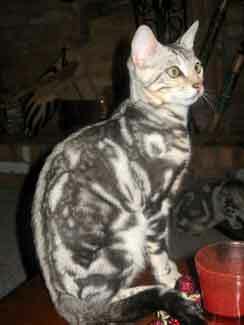 We are TICA registered and all kittens come with a written health guarantee. 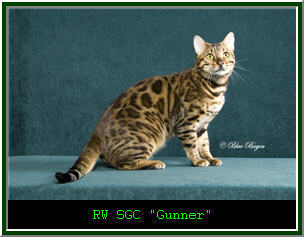 Please visit our website to see our beautiful Bengals. 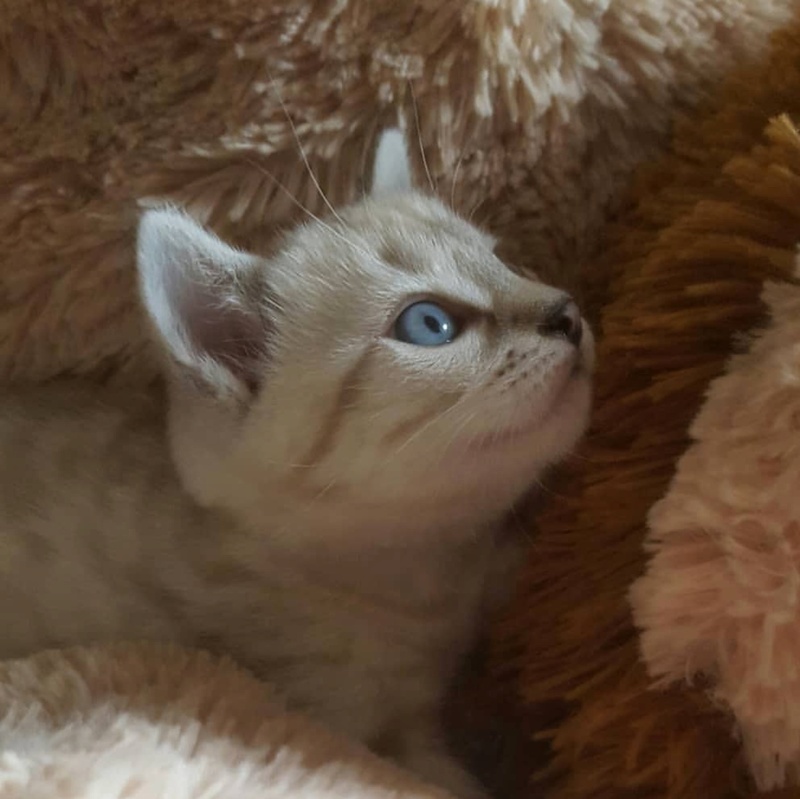 .................S p o t t e d . . . . . . . . . . m a r b l e s . . . . . . . . . . s n o w s . . . . . . . . . .
We now have beautiful kittens available! 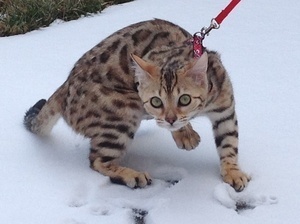 Individual pics coming soon of our beautiful snow babies. 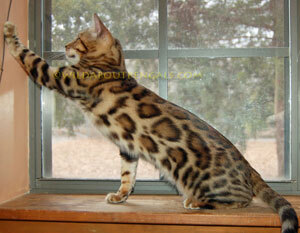 The male kitten is under evaluation to keep in our breeding program or may be sold as a high quality pet! 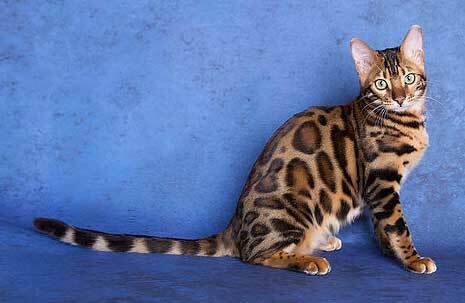 Wildly exotic, totally domesticated. 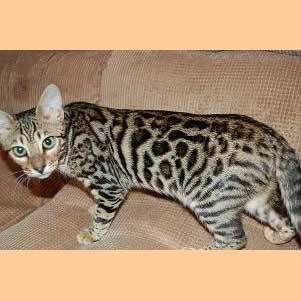 We breed SBT and early generation Bengals along with Asian Leopard Cats. 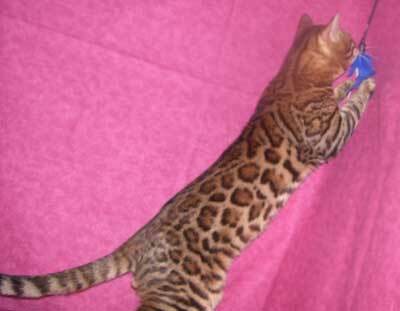 We breed high quality Bengals, SBT and foundation. 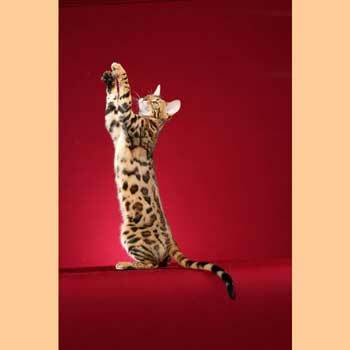 All kittens are raised with love and attention resulting in well socialized confident cats. 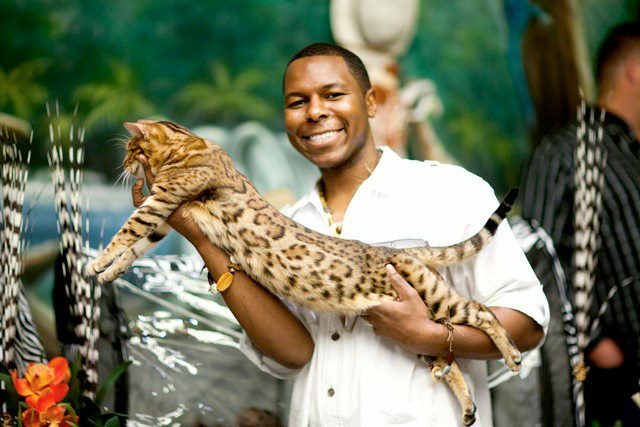 I have worked with both small and large animals for over 25 years being in the veterinarian field. 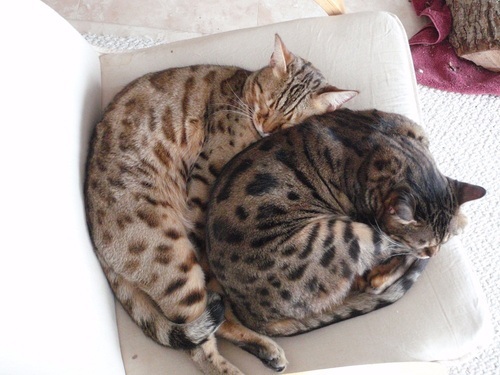 All my cats have great temperaments and love people. 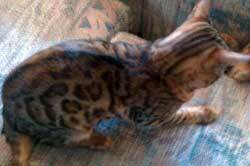 My kittens are raised under foot and very socialized. 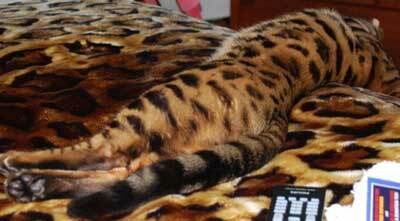 Not an Ordinary House Cat but an Extraordinary Friend! 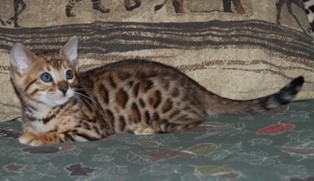 Small hobby breeder in Massachusetts offering well socialized, TICA registered Bengal kittens in a variety of colors. 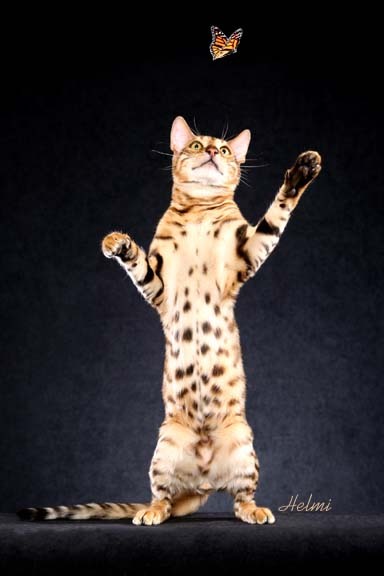 We screen for HCM and include a written health guarantee and a lifetime of breeder support. 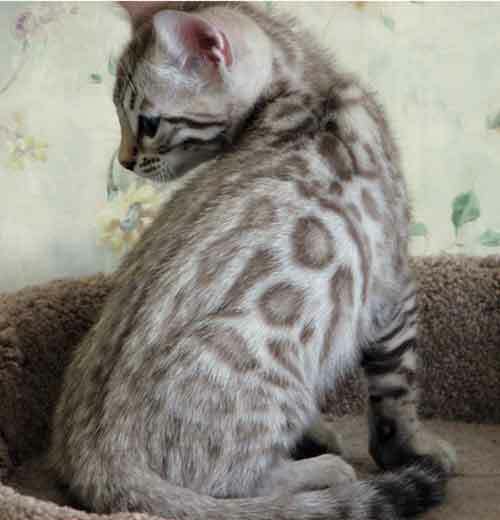 All pet kittens are spayed/neutered before leaving for their new homes. We offer personal airport delivery throughout the U.S. Inquiries welcome! 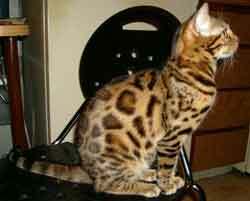 We are a small in home cattery located in the Twin Cities. 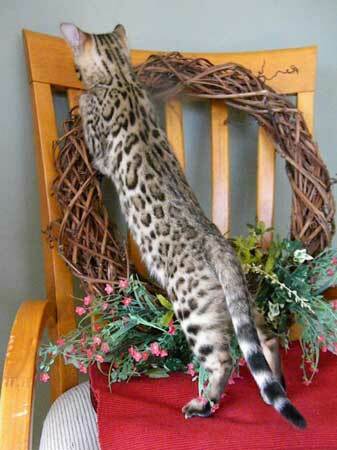 All of our cats are raised under foot with tender loving care. 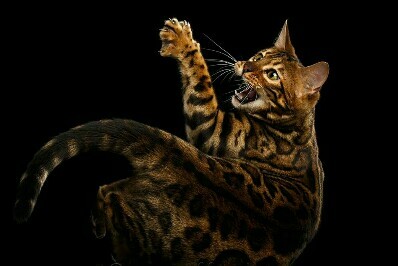 SGRC bloodlines. Members in good standing with ACFA, TICA and TIBCS. 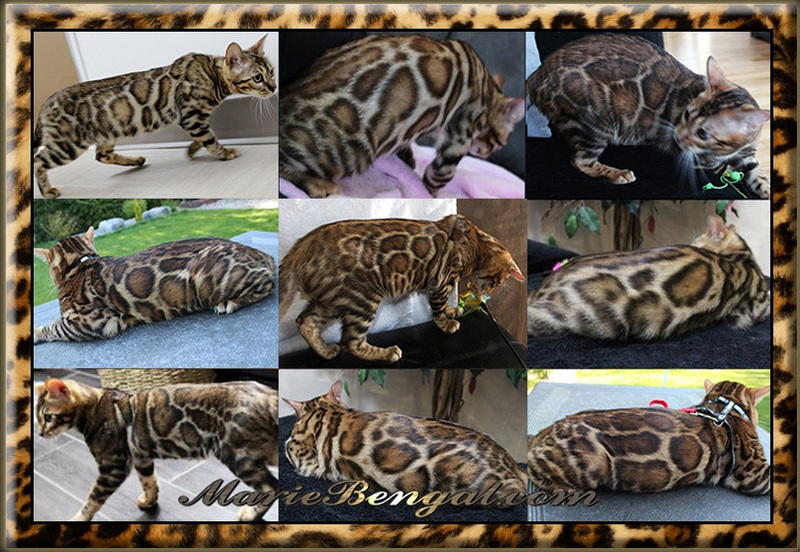 TIBCS Breeder of Distinction, TICA Cattery of Excellence and ACFA Cattery of Distinction. 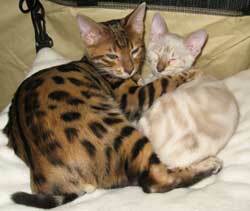 Beautiful and exotic Bengal cats raised with love and affection in our home! 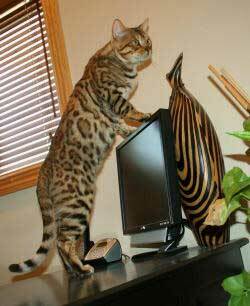 Our cats are given the up-most care and attention right from the day they are born. We feed them the highest quality food (Hill's Science Diet) that also includes cooked chicken breast, raw beef and protein rich eggs. 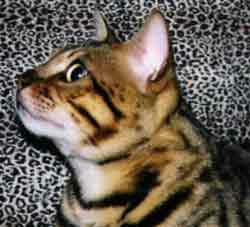 Sawasdeebengals is registered with TICA (The International Cat Association). 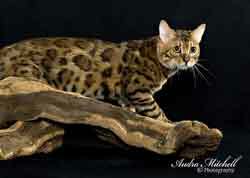 Select Exotics has over 20 years experience breeding exotic cats. 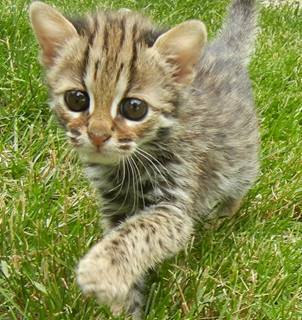 Kittens are raised by a Professor of Animal Science with his wife and four children in a state-of-the-art facility rivaled by none. 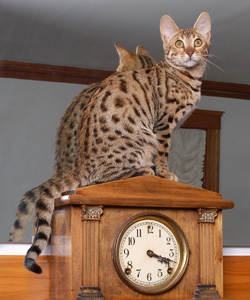 Around the clock care is provided at all times to expecting mothers and new babies. 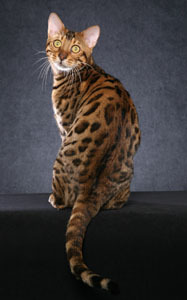 Our years of experience has proven to produce some of the most beautiful and well socialized Bengals. Feel free to call or email with any questions! 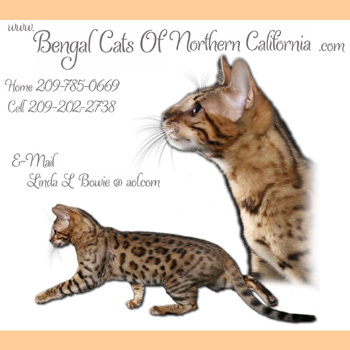 We are a very small, in-home Bengal breeder, specializing in giving our kittens lots of love, attention and gentle handling from birth. 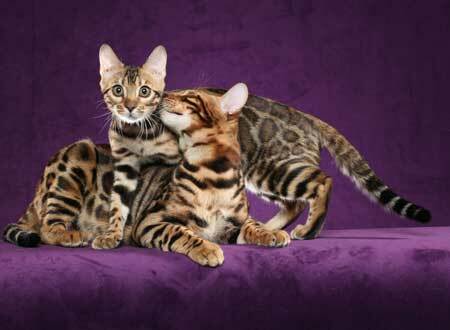 Our kittens are raised as pampered and cherished family members with full access to our home. 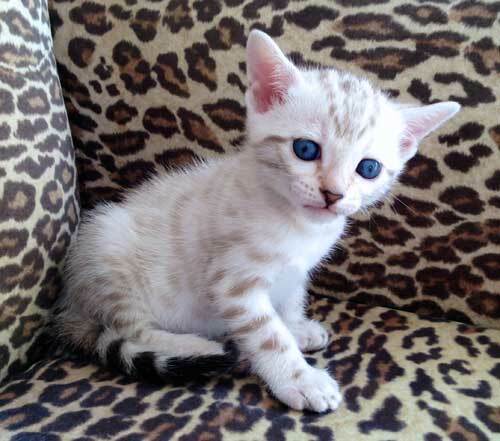 Our kittens are registered, vet monitored, and have age-appropriate vaccinations. 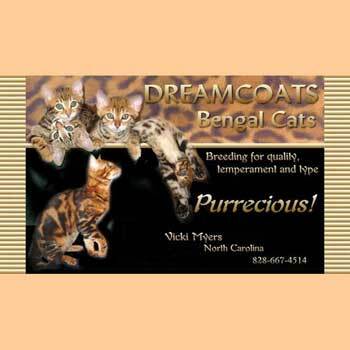 We strive to breed for excellent health, quality and people-oriented purrrr-sonalities. 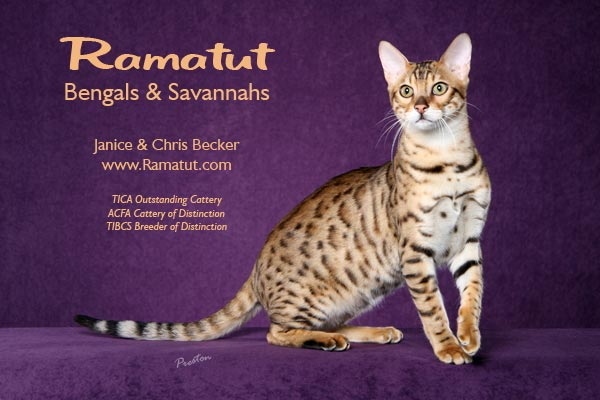 We are proud members of TICA and TIBCS. We are located in the greater Boston area. 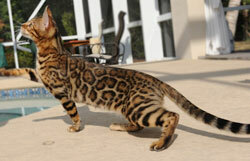 We have been breeding Bengals for many years and have Savannahs and servals as well. 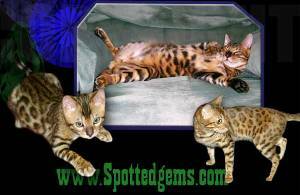 Our cats are home raised, friendly, vet checked and will ship if needed. 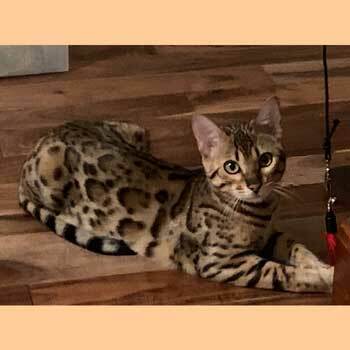 TIBCS Breeder of Distinction producing exceptional brown spotted and seal lynx point spotted bengal kittens for show and for your loving and playful pet. 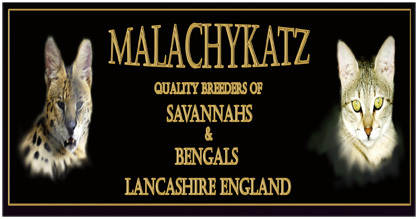 Our cats have gathered titles in the show ring from International Winner, Regional Winner and Supreme Grand Champion. 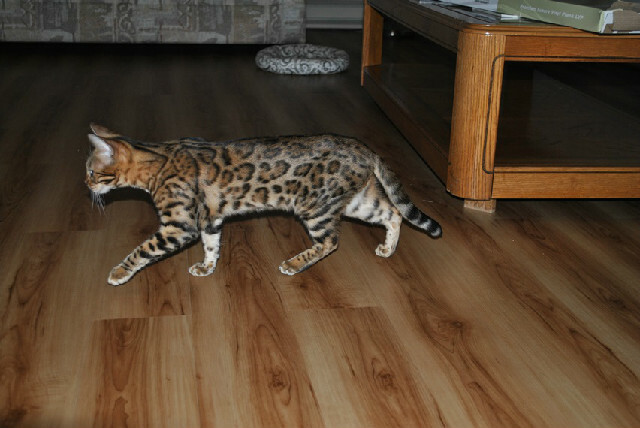 All kittens are raised in our home as much underfoot as is safe for various ages. 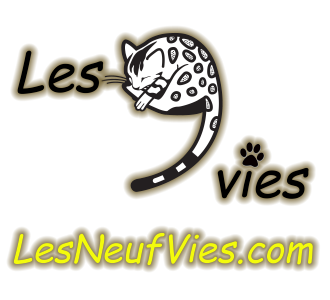 Our home is veterinarian inspected giving us the TICA "Cattery of Excellence" designation. 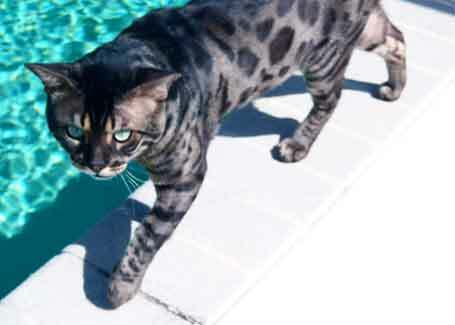 We offer a pet friendly home where our BENGALS have lots of room to play. 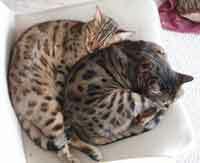 Our kittens come with a one year health warranty. 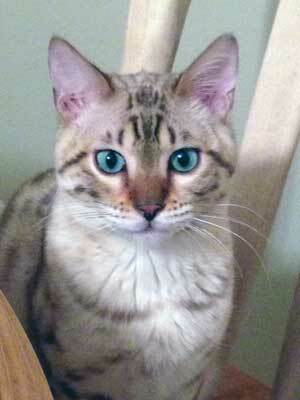 I raised Himalayans for 8 years in the 80's. 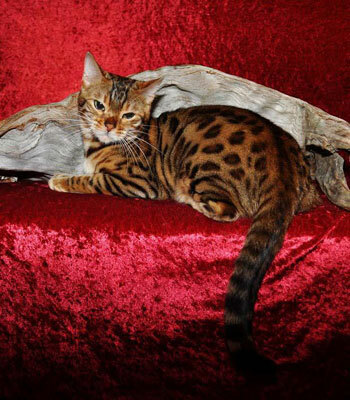 With great joy and success I have decided to welcome the Rolls Royce of cats into my home. 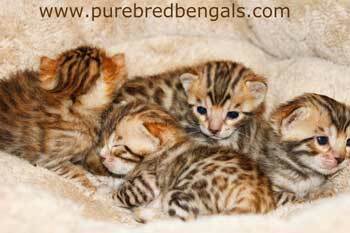 "BENGALS"
I strive to raise healthy kittens to be placed in good homes that will bring great joy to there owners with an exotic look. 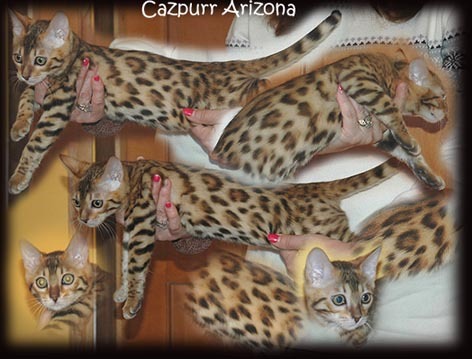 I was lucky to find a wonderful breeder that has helped me get started on this great journey. 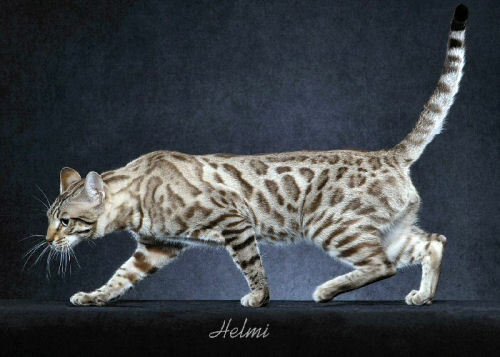 Thomwren Cattery, breeding Champion lines since 1998. 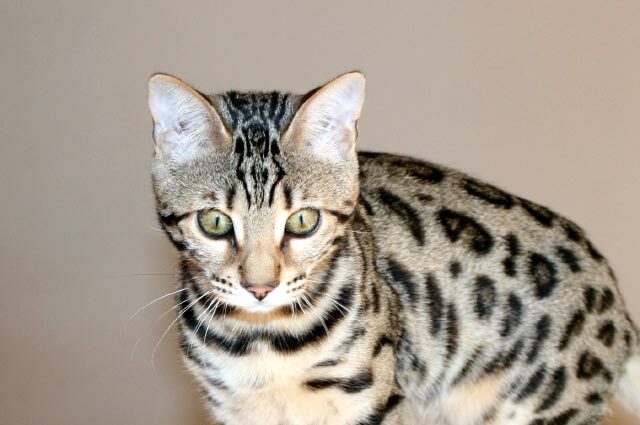 My Bengals have incredibly wild faces, their heads are to die for! 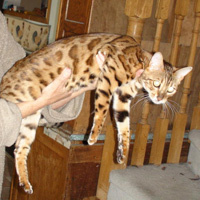 They are very typey and carry genes for their large size. 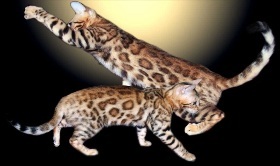 My girls typically can carry to live birth four or five Savannah cubs. 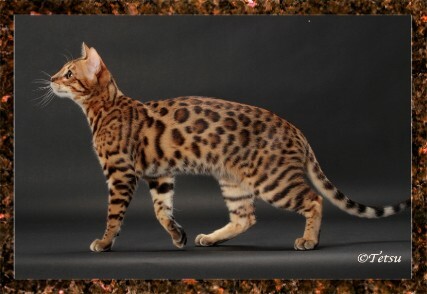 Thomwren's health and genetic warranty is unsurpassed in the breeding industry. I ship around the country and the world. 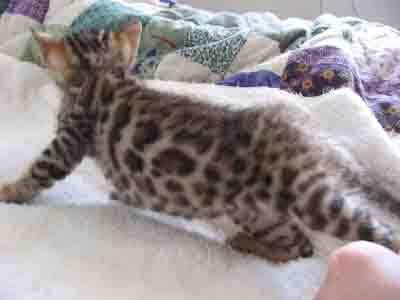 Lovely brand new litter of Bengals! 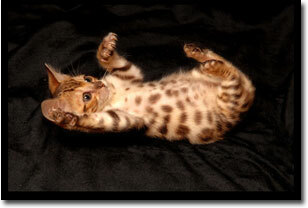 We at Tribes cattery do our best to provide you with the most amazing kittens for your companionship! A little look of the jungle brought into your home! Located in East Central Illinois. Check out our website for further information and availability! 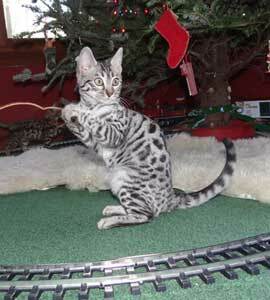 We raise silver, snow and brown spotted/rosetted bengal kittens. 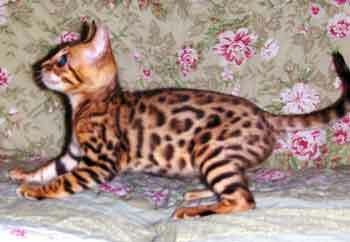 Kittens have great contrast, slick,tight pelts, and awesome temperments. 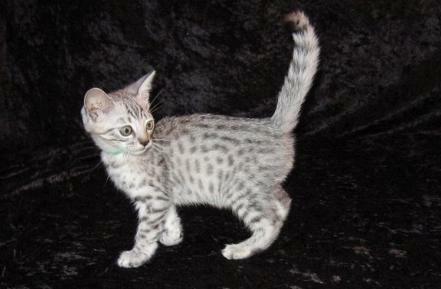 All kittens are fully vaccinated and wormed prior to leaving our home. Health guarrantee and contract can be found on our website. Please contact with any questions. 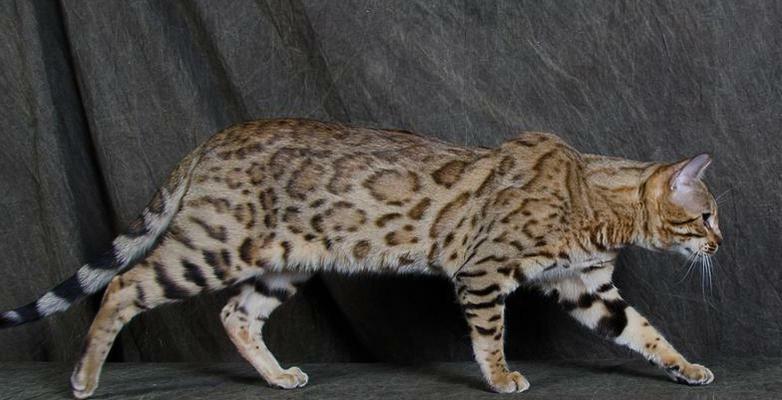 Here at Wind Haven we raise exotic cats for the family. 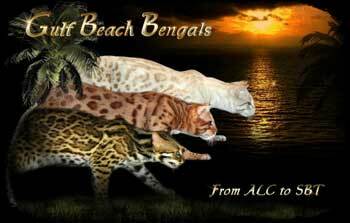 These include Bengals, Savannahs, Cheetohs and Ocicats. 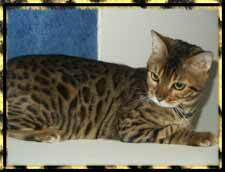 Guaranteed healthy, they are all extremely large & social, always looking for a human lap to sleep in or friend to play with. 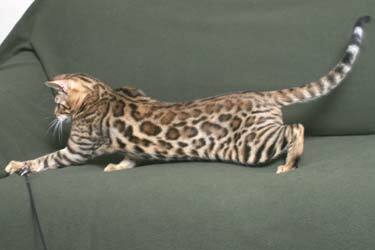 We ship world-wide and always provide a 100% 2 year fertility guarantee for our Savannah cats should they be sold as breeding cats.